Mutta Roast is a popular Kerala Dish generally served with Appam. This is a spicy Egg dish prepared in a mild sweet caramelized onion mixture. I have prepared this dish for the Easter sunday breakfast. Real Nadan side dish for appam prepared in minutes using the simple ingredients available in our pantry. 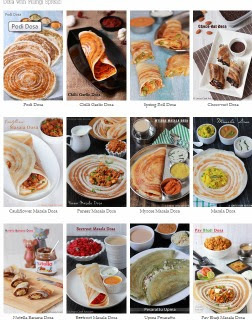 This dish can be eaten with chapathis too. A super simple and super tasty dish prepared using limited number of ingredients. Generally this dish will be in a dry form. I you really want this as gravy add some water and little spice and salt to balance the taste. Add water in a pan and hard boil the eggs for about 5 minutes. Allow the eggs to cool by adding cold water. Remove the shell and give incisions on the eggs lengthwise using a knife from top to bottom of the eggs for the masala to penetrate into the eggs while cooking. Heat oil in a pan; add the onion and salt; cook till the onions becomes slightly brown and get the light caramelized taste. Add the ginger, garlic and curry leaves. Cook in medium flame till the raw smell leaves and as you get the aroma of curry leaves. Add the chopped tomato and salt; increase the flame to high to dry out the water oozing out from tomatoes to avoid forming gravy. Once the tomatoes becomes mushy add the chilli powder, coriander powder, and garam masala powder. Reduce the flame to low and cook the masalas till raw smell leaves. If you feel the masalas may burn add a two tablespoons of water and cook the masala for a minute. Add the eggs and using spatula cover with the onion masala mixture over the eggs. Allow to cook for two minutes and check for salt and switch off the gas. Onion proportion should be one onion per one egg. Tomato should be added in very less quantity (Either a very small tomato or half a medium sized tomato. Add just for mild sour taste). If you want you can give incisions on eggs and sprinkle pepper, salt and turmeric mixture over the eggs and shallow fry the eggs and then add into the gravy. Looks too yumm.. Perfect side dish.. 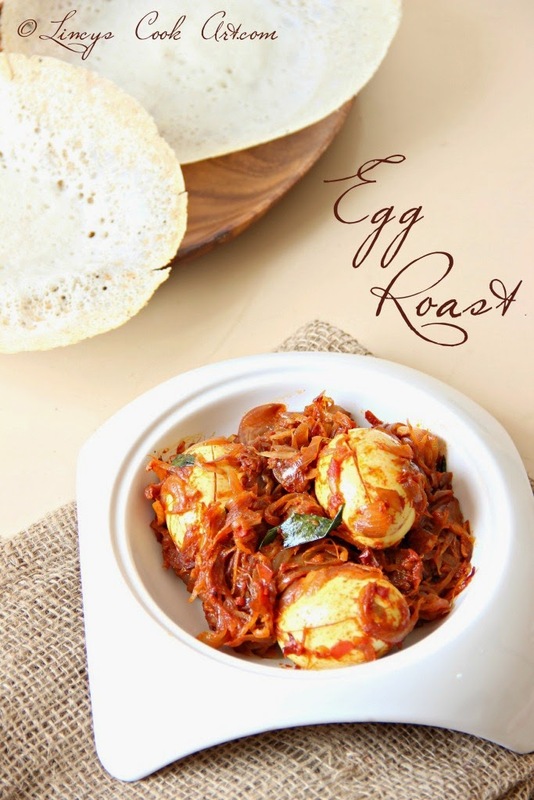 Egg roast anytime and love it with Appams.Happy Easter Lincy. Though the post is about Mutta curry, I should say the appam looks crisp in the edge & sponge in the middle. - I love this combo !! Fantastic mutta roast, hard to resist..